Almost 9 years ago I dreamed of a little idea after I was fresh off winning the all-around gold at the 2008 Olympic Games. I approached USA Gymnastics with this idea and knew I wanted to do something to give back to the amazing gymnastics community that had given me such an incredible amount of continued love and support over the years. 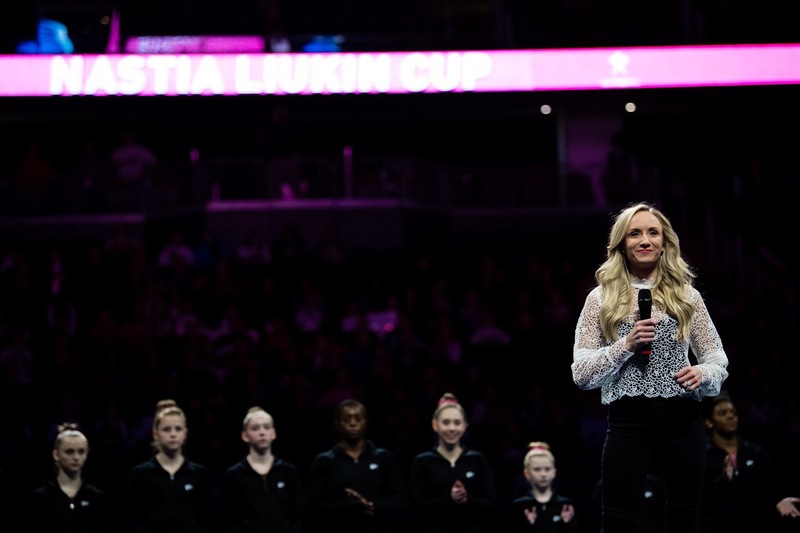 With a lot of work and organization this dream became a reality as the first Nastia Liukin Cup competition came to life in 2010. Almost 10 years out from my Olympic career I never in a million years thought that I’d be sitting at the Prudential Arena in Newark, N.J., looking at the screens and seeing my silhouette and name everywhere! 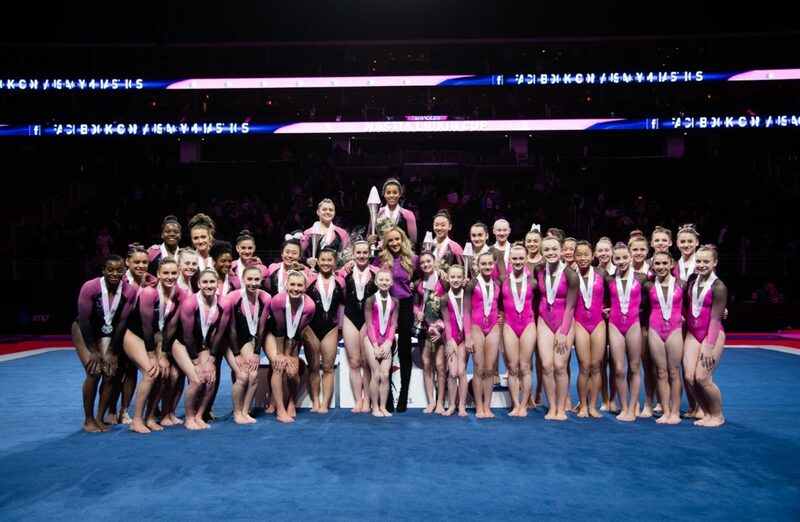 It’s such a humbling and amazing experience and I feel SO incredibly grateful to be in the presence of such hardworking gymnasts every year at The Nastia Liukin Cup. I can’t help but tear up just watching the 36 gymnasts compete and have so much passion for this sport that means SO much to all of us! On Friday morning I hosted a competitors’ brunch where I was able to spend time with the girls and deliver some words of wisdom before the competition. 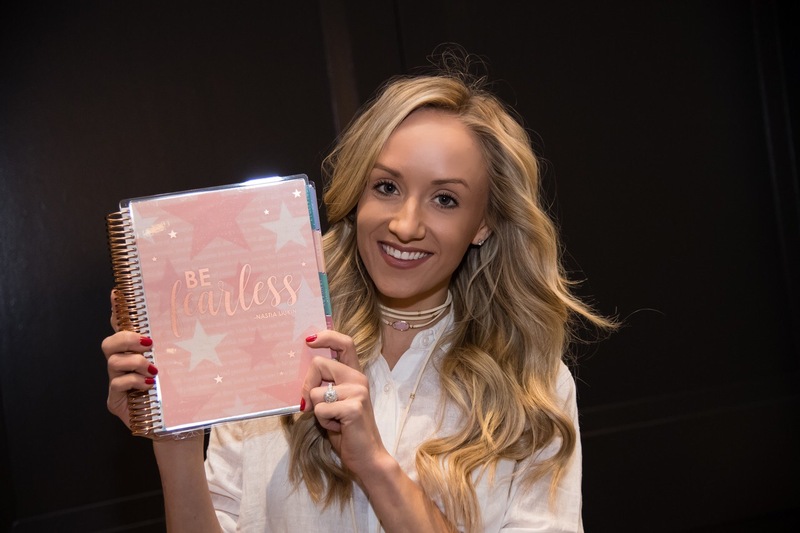 The girls absolutely LOVED all the goodies Erin Condren provided for us, including my customized LifePlanner™ and a bunch of cute organizational accessories. I wanted to let the girls know that they were already qualified and deserved to be here, so to just enjoy every moment on the competition floor and take it all in. This was something I wish someone had told me when I was competing. The very last performance of my career was on the balance beam at the 2012 Olympic Trials, after I fell on bars. I knew I wasn’t going to make the Olympic team, so for the first time in my life, I just looked around the arena and I took it all in. And I never just enjoyed a performance the way I did there, because I really felt the moment. 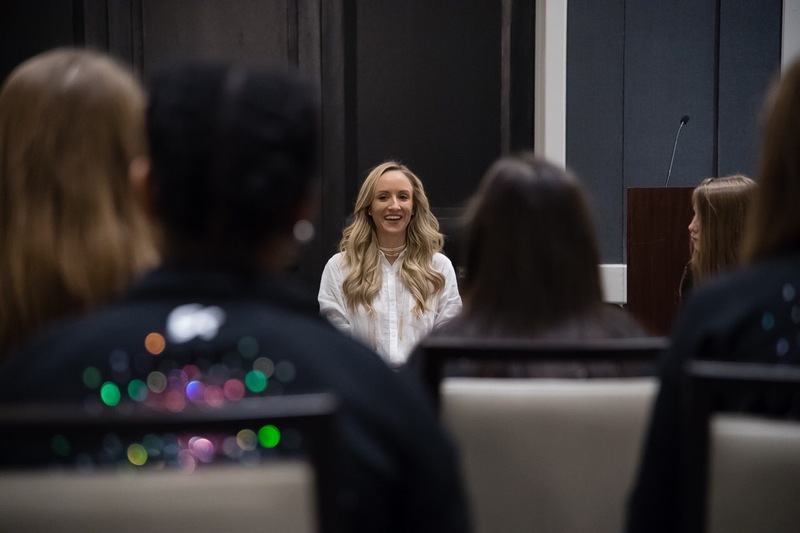 I woke up the next morning feeling SO incredibly grateful for this experience and I wanted to congratulate all of the girls for sharing their amazing talent with all of us this year at the Nastia Liukin Cup! THANK YOU! I wish to express some thanks to the writer for bailing me out of this particular crisis. Because of surfing around throughout the search engines and meeting principles which are not productive, I believed my entire life was well over. Existing without the presence of solutions to the problems you’ve solved through your entire write-up is a crucial case, as well as the kind which may have adversely damaged my career if I had not noticed the blog. Your good natural talent and kindness in touching every part was important. I don’t know what I would have done if I had not discovered such a thing like this. I am able to now look forward to my future. Thank you very much for your impressive and sensible help. 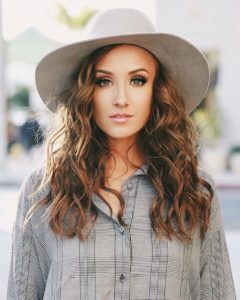 I will not hesitate to suggest your web site to anybody who ought to have guide about this issue. mind this website and give it a glance on a continuing basis. I would like to voice my respect for your kindness for folks that really want help on this one niche. Your very own dedication to getting the message around has been rather significant and has always helped somebody like me to arrive at their aims. Your new interesting useful information signifies a whole lot to me and even further to my mates. With thanks; from everyone of us.